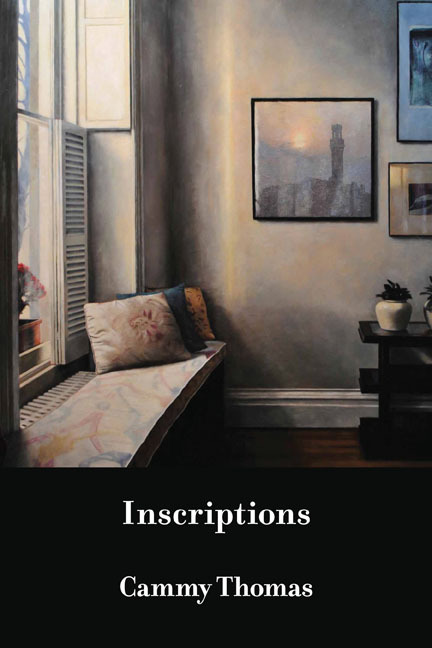 A meditation in the face of impermanence, Inscriptions is a book about a family in crisis. Three strong women—a mother, an aunt, and a sister-in-law—serve as focus for the collection as these compressed lyric poems wrestle with illness and “death,/ tangy as copper” and the ways in which they reshape a family. Thomas seeks consolation in what endures, discovering a sense of what’s sacred in the ordinary. his loyal children dressed in green and gold. running under him on an icy path. by that which melted and left no trace.